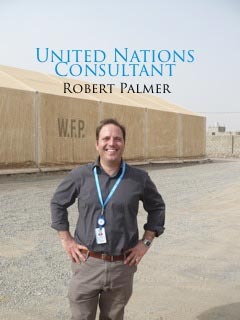 I’m happy to have Robert Palmer, a United Nations Consultant speak with us on WTT’s Podcast. Robert is a personal friend and former colleague. Robert and I met at the University of Kent at Canterbury while we were both earning our MA in International Relations. Robert travels the world for both business and pleasure and he will be sharing some advice on working at the UN, living in Rome, and traveling the world. Thanks for listening and stay tuned for new posting soon.